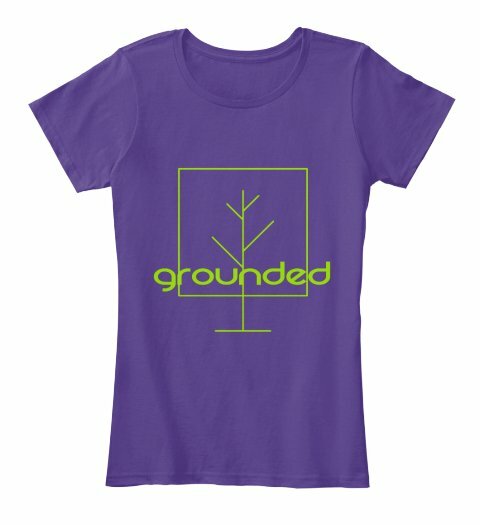 Welcome to the Grounded Series! My tween daughter, Brooke, and I will be hosting this series to help you explore faith and fun together. Be sure to subscribe to the blog (just enter your email address in the box on the top right) to ensure that you don’t miss any of the series. Post will be delivered for free into your inbox. And one new subscriber will receive a mother/daughter gift pack (stay tuned for details)! The tween years can be a challenging time for both mother and daughter but it can also be an exciting time of change and discovery. We are not experts but we are in the thick of navigating tweendom and want to offer some hope and help for the journey. This series is designed to help you grow closer to God and one another by staying grounded in His Truth and connected to each other through: tween-friendly devos, fun activities, helpful resources, and “hot topic” conversations. Each Saturday you will receive a dare to step out of your comfort zone and try something new and different. We will provide an idea, but feel free to get creative and try your own. We will share the dare on Facebook Live on my Katie M. Reid author/speaker page. Consider “liking” my page so you don’t miss out. We’re pretty excited about this—think, wardrobe challenge, interesting food combinations, and acting silly in public, etc. On Sundays there will be a short devotional for you to complete together. We will share a story, bible verse, and discussion questions to help you connect with God and each other. Monday: Mom, This Drives Me Crazy! On Mondays, Brooke will write a letter that addresses issues that tweens face today and the questions and frustrations that surround the topic. Katie will write a letter to tweens on Tuesdays, that addresses the topic that was brought up on Monday. 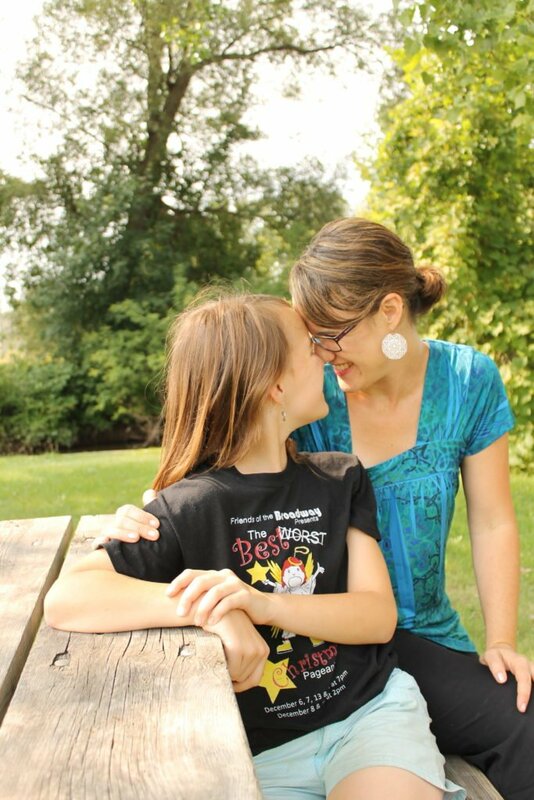 We’ve invited some moms to share tips on faith, fun, and issues that tweens face. 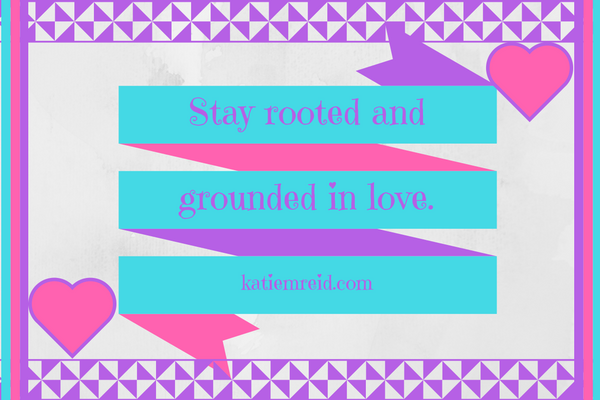 We will throw it back by sharing one of the posts that Katie has already written to encourage tweens and their mothers. Brooke will be reviewing a devotional, event, movie, and book that she recommends as cool for female tweens. Subscribe to the blog (enter your email address in the box at the top right of this page). This will ensure that you don’t miss any of the series. Blog posts will be delivered for free into your email inbox and you will be entered into a special giveaway also. A computer or phone to access the daily posts with your tween. A Bible, journal, and pen for devo days and reflection questions. A willing attitude to grow in your relationship with your tween and a desire to have fun in the process. Throughout the series we will be hosting a giveaway, doing Facebook Live videos for the Saturday “I Dare You” challenges, and offering a custom t-shirt for purchase. There are multiple colors available as well as stickers for a limited time. Buy now by clicking on the shirt! P.S. 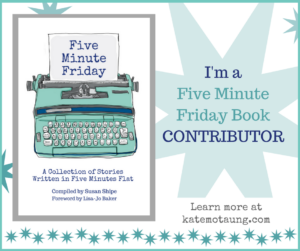 I’m thrilled to be a contributor in the book, Five Minute Friday: A Collection of Stories Written in Five Minutes Flat. I wrote about my struggle with anger in relationship to parenting—it’s raw and real and I hope it inspires you to grow. Five Minute Friday is a fun community of writers who gather weekly on twitter for the #fmfparty and writing prompt reveal. We then write our hearts out for five minutes and post our responses over on the linkup at Kate Motaung’s blog. The Five Minute Friday book is now available for purchase and all profits will be divided equally between two ministries in South Africa: The Vine School in Cape Town, and The Ten Dollar Tribe! This sounds fun! Thanks for doing this! Hi Cassie: Thanks, glad you are joining us! 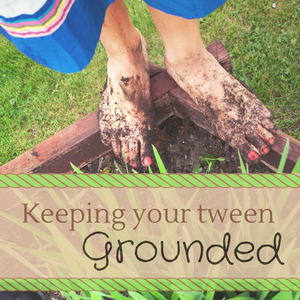 I’m SO excited to do this series with my tween! Any chance this is available in print though? Or a printable version?